Join us for our upcoming Job Fair. Click here for details. We accept all sorts of items, including clothing, dishes, household items, toys, most books and more. Find a drop off location near you or Schedule a free pick up. 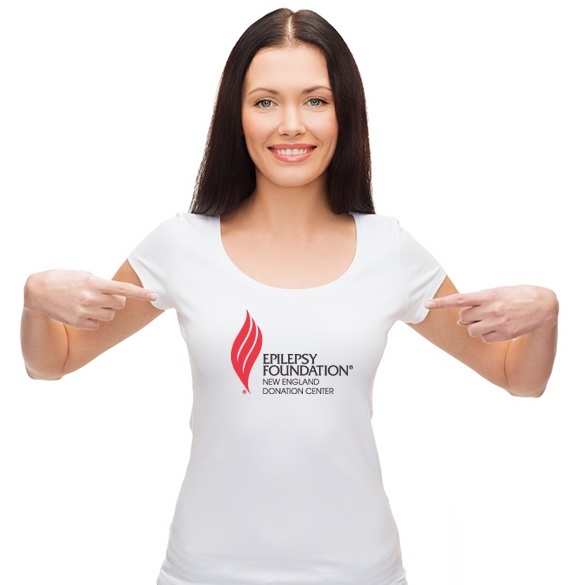 Your donations to the Epilepsy Foundation are sold to Savers. 100% of the profit from the sale of your donated items (clothing, household items, etc. ), supports the Epilepsy Foundation New England in our mission to assist individuals and families suffering from Epilepsy and seizure disorders. To see a full list of acceptable items please Click here. Still have questions? Read our FAQs document. There is no cost or liability to you; we will provide a donation bin that we maintain. Beyond just providing much needed funds for Epilepsy Foundation New England programs, you are also helping the environment by allowing the community a place to recycle gently used clothing. A clothing drive can be held over one day, one week or one month and at any time of the year. This is a wonderful way to add a charitable element into the workplace at no cost. Supporting a cause, such as ours, can actually boost sales, win customers and attract employees. Community partners provide donations on a regular basis. Their donations include left over clothing and items that have not been sold. We will work with our partners to schedule timely pickups and keep a record of their donations. Pickups can range from weekly to monthly. We will also provide a link to our partners information in our social media. The mission of the Epilepsy Foundation New England is to stop seizures and SUDEP, find a cure and overcome the challenges created by epilepsy through efforts including education, advocacy and research to accelerate ideas into therapies. The Foundation also offers many programs such as support groups, information and referrals, Art Studio E, and camps. Nothing to donate right now? No Problem! You can make a difference by making a donation to the Epilepsy Foundation New England Donation Center. Epilepsy is a medical condition characterized by recurrent, unprovoked seizures. Many people with epilepsy have more than one type of seizure and may have other symptoms of neurological problems. There are approximately 65 million people in the world who live with epilepsy. Epilepsy can make life extremely difficult, and limit a person’s life experiences. You can help those living with epilepsy by donating items. By donating items, you too, will help us in funding programs that support those living with epilepsy.